Roughly 8-12 percent of the population is genetically predisposed to alcoholism and addiction. With the 100,000 festival attendees daily, that would put this number somewhere between 8,000 and 12,000 people struggling with the disease. Though it is not merely people who suffer from addiction or work a recovery program who visit the tent at these festivals. Q says that many visitors to the tent come in the form of pregnant women who want to make a connection and gain support since often times their friends continue to use alcohol when they attend these events together. “We have a lot of people who are ‘Straight Edge,’ ex-punk rockers with the big ‘X’ tattoos on their hand who come out and are really excited to meet other people who won’t judge them,” Q Brickell continues. There are also many individuals who are in their 30s and have burnt out on the scene. Brandon Graham, 25, was reclining in the tent on an Adirondack chair, cooling off in the Sober Side tent. He says that he is content spiritually and has done a number of festivals sober including five years of Bonnaroo and three years at Lollapalooza. Between Q’s love for music and Sean’s connections in the industry, they were able to put this program together. 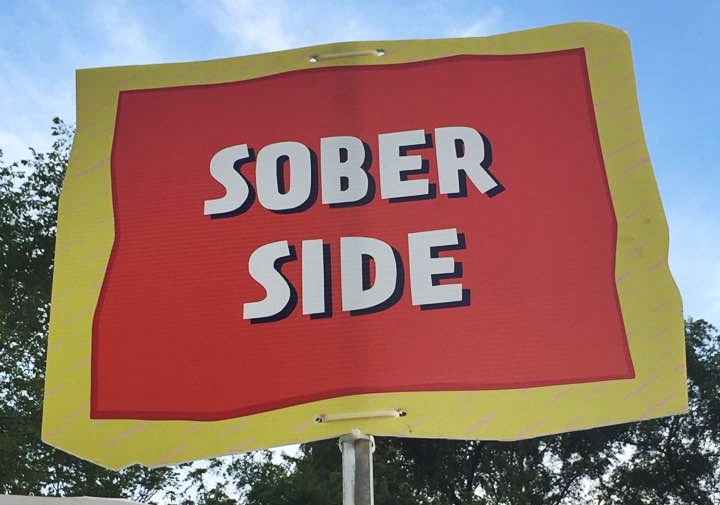 “It needs to be said that while we are serving the sober community, we are also serving the promoters,” Sean Brickell said. Promoters of these events are looking to find an option for people, and the services that the Harmonium groups bring provide that at no cost to organizers. You can find more information on Harmonium and view their work at www.harmoniuminc.org.